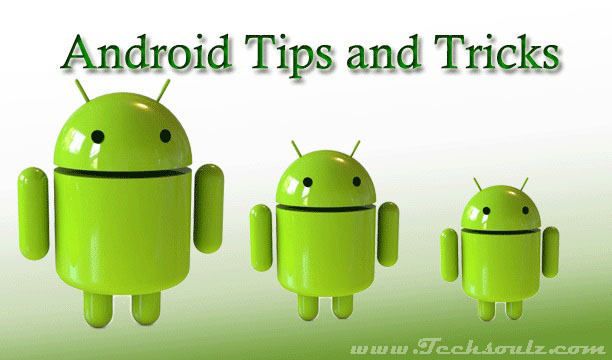 millions of people now carry smartphones and tablets that run Google's Android operating system. Clearly, Android is popular but with countless adaptations and endless updates. keeping up with developments is nigh on impossible. The latest versions. Android 4 (sometimes called lce Cream Sandwich). 4.1 and 4.2 (jelly Bean). have some great Features that many users may not even know exist. So here are eight of our favourite Android secrets to help you get more from of your smartphone or tablet. Note that as some manufacturers change how Android looks and operates. some tips may work slightly differently on your device. Crippled by indecision? If you uninstalled an app and but later decide you would like it back, there is an easy way to do it. This is especially useful if you can't remember exactly what the app was called. Open the Play Store on your device and tap the downwards arrow pointing at a line (next to the Search symbol in the top right corner). This will display a list of installed apps. Now tap All to view installed apps alongside a list of anything ever installed on your device. Tap on the app you want to reinstall and then tap Install. Android tablets and smartphones can slow down if many apps are open at the same time. Quitting an app by hitting the Home button doesn't actually close it, meaning it may still be hogging the device's resources. The advantage of this is that apps open up again where you left them but if you‘ve finished using the app, then tap the Recents button (it looks one rectangle on top of another, and it's next to the Home button). This will display all currently open apps. To close an app properly simply swipe it off the screen to the left or right. Android 4.2, then download the free Touchpal Keyboard app from www.snipca.com/7902 — it does much the same thing. Using Android's default web browser, Google Chrome, can be made all the more speedy with some handy touchscreen gestures. The most useful gesture is for switching tabs: with more than one tab open, swipe from the far left or far right of the screen to switch between them. On Android smartphones, tapping on the numbered tabs button next to the address bar displays all open tabs, in a deck. Tabs can be pulled up and down while a swipe to the left or right will close the tab. Widgets are a handy way ofﬁnding out information quickly without having to open an app, and the details can be displayed directly on an Android home screen. However, ﬁnding widgets in the Play Store is a different matter because it involves trawling through a lot of rubbish. To search through a speciﬁc list of apps that have widgets included with them open the Play Store and tap on Apps. Tap Categories in the top left comer and scroll down the list until you see Widgets. This will show the top commercial (paid-for) widgets; to view the top free widgets swipe from right to left. One of the best new features in Android 4 is the ability to properly manage mobile data use. Tap Settings and then Data usage to conﬁgure your phone or 3G tablet. Select ‘Set mobile data limit’ and accept the warning message. On the graph the orange line can be dragged up and down to change when a warning will appear (when 2GB of data has been used, for example) and the red line can be moved to set when the data connection will be disabled — this will stop breaching any data-allowance limit on your contract. The data-usage cycle option should be set to match contract billing date. Apps such as Instagram are really Popular being able to add effects and edit photos snapped on your phone or tablet is convenient and fun. Android 4 devices have some handy built-in photo-editing tools for applying affects, cropping and adjusting saturation and contrast. To edit photos open the device's photo album and select the photo you want to edit, tap the menu icon in the top right corner and tap Edit. The four options that appear along the bottom of the screen enables you to alter and change the photo without needing any extra apps. We've previously written about the beneﬁts (or otherwise) of parental-control apps for Android. If you have installed one of these apps, getting rid of them is seemingly impossible. This is because the apps are set as device administrators, so a normal uninstall attempt won't work. To remove these apps tap Settings, Security and Device administrators. This will display the 39 parental-control app installed on your device. To uninstall it tap the tick box and select Deactivate. Type in your parental control password and then remove the app as a device administrator. It can then be uninstalled using the usual method (hold your ﬁnger down on an app's icon and drag and drop it onto the Remove legend).